TRX Lv.1/ Chair Yoga Fusion: Basic & effective exercises & stretches that train in both the standing and seated position either on a chair or a balance ball; there are no floor level exercies. This class is designed for people who want an effective yet gentle workout. 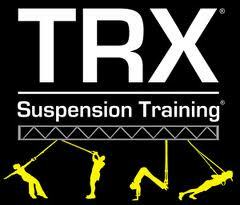 TRX Level 1.5: This class brings together the best parts of level 1 and level 2; we will begin to explore floor level exercises prepping you for level 2. TRX Level 2: Basic & Intermediate level exercises that train your body both standing, seated on the balance ball, and down on the floor with a yoga mat. This class is designed for those who want a more challenging workout.